← Offsetting at Lodge Hill rears its ugly head again. Following yesterday’s blog on the latest machinations at Lodge Hill, I was informed that the local MP for the Lodge Hill area Mark Reckless, had not made any statement either for or against the development at Lodge Hill or the SSSI notification. Intrigued, I dug around a bit on the internet and found this video of him asking a question about Lodge Hill to that defender of the environment Nick Boles, planning minister; this was about a year ago. Mark Reckless was elected an MP in 2010. Educated at Marlborough, then doing PPE at Oxford (along with about half of the cabinet), he went on to do an MBA then trained as a barrister, though he was only at the Bar for three years before becoming an MP. He had worked for a leading Merchant Bank and was rated as one of the top City of London economists during the 90s. He went on to work in the deregulation unit in Conservative Central Office in the early 2000s. He was a Medway Councillor from 2007 until 2011. During his time as a prospective Tory candidate he received funding from Tory uber funder and string puller Michael Ashcroft, via Bearwood Corporate Services. Clearly regarded as a Tory high flying new boy, he has disappointed many in the party by being one of the most rebellious MPs of the new intake and is vociferously anti immigration and anti europe. I would suggest he sits rather uncomfortably on the barbed wire fence between the Tory right and UKIP. This will probably play well with some of his voters in 2015. Reckless claims to represent all those in his consituency “Since being elected in 2010 I have worked hard to represent all of the people in my Rochester and Strood constituency, irrespective of who they backed at the election”. Is that really true – perhaps Reckless should organise a local referendum on this issue. No doubt aware of the very strong opposition to Lodge Hill being developed from within his constituency, Reckless has not made any public pronouncements, at least not to his constituents. He has made his views very clear in the Commons though. This is the type of anti-environmental rhetoric I am becoming used to hearing from Tory backwoodsmen old and new. He railed against the notion that 84 nightingales had stopped the building of homes fo5 12000 people and jobs for 5000. He went on to mention other places in his constituency “Grain – where 6ooo jobs have been delayed for 3 years because of the habitat of a bug” and at Swanscombe where “27000 jobs are at risk due to a spider“. He then went way outside his constituency and lamented that “at Dungeness where vegetated shingle must be considered for power development“. Now this is old news in a way (nearly a year old) but is still highly pertinent. Firstly Boles has made it clear he and CLG will look very sympathetically on a mitigation/compensation package for Lodge Hill – ie Biodiversity Offsetting. Note the use of language here – he truncates the mitigation hierarchy neatly ignoring the first test – avoid damage and moving straight on to mitigate – oh but don’t worry it you can’t mitigate on-site you can just compensate (ie offset) instead. Thirdly Mark Reckless by his own admission is reckless in regard to the environment of his constituency or indeed it would seem anywhere else. 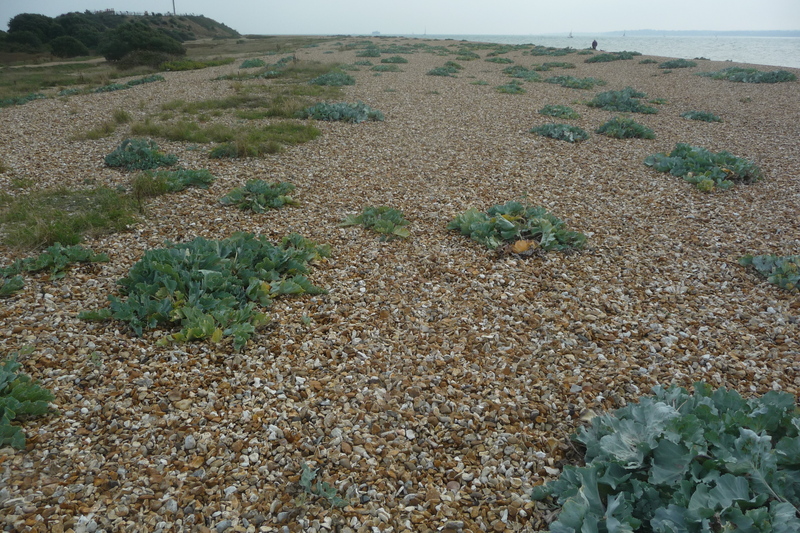 Why pick on the vegetated shingle of Dungeness – did he have a traumatic childhood experience with a yellow horned poppy? The reason why England is falling behind in the global economic race – vegetated shingle. This entry was posted in anti conservation rhetoric, anti-environmental rhetoric, biodiversity, biodiversity offsetting, Lodge Hill, Natural England and tagged Lodge Hill, Mark Reckless, Natural England, Site of Special Scientific Interest. Bookmark the permalink. Seems like the perfect name for the local MP. Ever read Drunk Tank Pink? thanks Ginny – no, but it sounds interesting.. Strange that he thinks NE is too powerful when from experience most of us think NE is easily nudged by government necessity. I would like to see a summary From NE, of exactly how they see their objective and role. I suspect it’s not quit like the mission statement I would hope for, but at present I don’t know. I can understand Reckless’ desire for ‘growth’ in his constituency, he does seem to be petulant, and ignorant of nature.